Old development rights for the 70's? Discussion in 'Easements & Right of Way Law' started by LJOD, Aug 9, 2018. We bought our dream home in August 2017. About a month after settlement we received a copy of our deed. It didn't show the property description on it. I called the title company to get the information. The title company's paper work showed there was an easement for Met-Ed, no biggie. Reading the property description I walked the property lines and found out that two of the neighbors were encroaching on our property. A Neighboring home was also vacant for 3 years and it was becoming ran down. I reached out to a surveyor and they surveyed our property. I wrote and sent the two neighbors who were encroaching on our property a certified letter asking them to correct the matter. They did. Doing research father on our property I found out that the abandoned home that the bank now owns did not have an easement to go use our driveway. I tried to contact the real estate agent who was selling it for the bank but he would not respond to me. One day I seen someone at the house and I walked up and it was someone there to do an appraisal that the house was to be sold. I told him that we own this property in front of the house and I could not find an easement agreement. He said the bank would not give the people a mortgage without one. He took this information back and told the realtor for the buyer and she did research and found an maintenance agreement. We were never told about. Still no easement agreement. After going round and round the realtor for the bank had a lawyer for the bank write up an easement. The buyers for the abandoned house did not like the easement they wanted more property. Exactly 11,000 sq ft of our property! For Free!. We went back and forth for months. We didn't hear anything for awhile. One day we received a letter from a different lawyer for the bank saying if we didn't agree to what they wanted within 5 days they were taking us to court. We got a lawyer. $5000 later our lawyer has gone back and forth with them. The back story: We bought 6 acres from these people who bought a little over 7 acres from a developer who wanted to put 19 homes on this property. He had the development plan done but did not follow through we believe he could not get the sewer and water authorized. Nobody seems to know why it wasn't completed that will talk to us. The developer sold one lot of the 19 home sites. The original people back out within 2 months and the developer gave them their money back. Again don't know why. We are talking about the mid 70's. Finally someone else bought lot one and built a home on it. !! The developer gave an easement to lot one for lot 2 and part of 3 to be used as lot 1's septic system. So they couldn't get septic hook up at the time is what this says to me. Years go by in we are in 1983 the people we bought from bought the remaining lots, except 1,2 and part of 3. 2 & 3 were still owned by the developer. The people we bought the home/property from took the remaining property and made it into their own development and gave some neighbors more land and left 6 acres and turned that into one lot. We are told by our lawyer that lot 1 if who ever buys that has the right to use ALL of our property as they wish. That they can drive down our driveway anytime they want to. Although they do not have any easement written up only the maintenance agreement. Before knowing all of this we got the permits and moved our driveway and the township said we had to close off the other end. We could only have one drive. Our lawyer says now who buys lot one has the right to drive down our old drive past our house and out our new driveway. WHAT!? If our old driveway was not the original drive for the old development and our house now sits in the middle of where the original road was to run how do they have the right to use a drive that was never intended for them. On the development plans from the people we bought the home from our drive shows its a private drive all the way to the end pass house 1. But yet shows no easement for that house. If this is so then that would mean that the property they sold off from the original development is also allowed to be accessed by whoever buys this empty house. We have not heard from the lawyer in at least two weeks. Usually when we do not hear from the banks lawyer its because the people who want to buy the house are not happy with the easement agreement and want more. We have even offered them to buy all the land in front of their property and we would have financed it for 5 years for them. They did not want to buy it they want it all for free. There has been at least 10 offers gone to them that they did not like. Even when they sent us something and sent it back they changed their minds!!! Some with some knowledge please give us advice on how to proceed with this. This month it will be almost a year we have been dealing with this and I am exhausted. The neighbors are talking about us because the people who want the house is telling the one neighbor stuff that isn't true. The empty house was for sale before we bought our house. And the neighbor blames up that no one wants to buy that house cause there is no way to get into it. But we have literally bent back words for these people. I think we are going to have to go to court. Like I said we have already spent $5000. I didn't read that gigantic block of text, but this appears to be your only question, which seems awfully rhetorical. I suggest breaking your post into manageable paragraphs and being more clear about what question(s) you'd like us to address. Understand that there is such a thing as an easement by necessity. If that house is truly landlocked then whoever buys it is likely to get the easement. Probably doesn't matter how the situation got created. 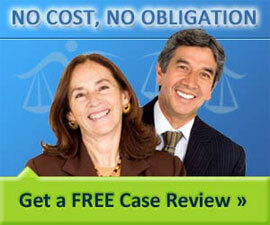 Going to court with your lawyer may serve the limit the buyer's access but might not eliminate it. We have absolutely no problem giving them an easement. We actually went to them. The bank that owns the home shouldn't be concerned with how much they are getting as long as they have an easement. The PROTENTIAL buyers are involved in this process somehow they know everything. It should only be between us and the bank. But why would they still have rights to our land? why would they still have rights to our land? That is a question you need to discuss with YOUR attorney.